This baby sun bear was still very nervous and not used to humans. This is normally a good thing, but since he needs to be hand reared, he will most likely become accustomed to them. 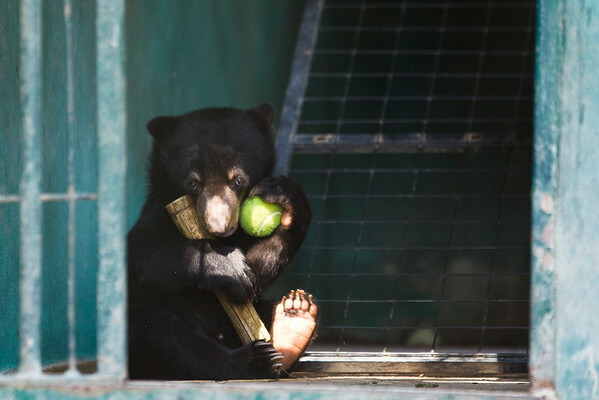 He is given lots of enrichment to keep him busy and happy, and he just couldn't decide between his treat-filled wooden tube and his tennis ball. He decided to have both!